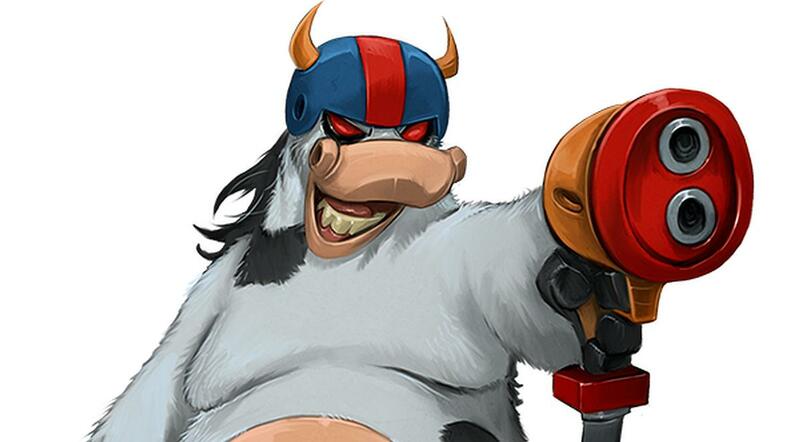 A new game from developer We The Force will create a bovine uprising, using milk as ammunition. Some games are so ridiculous in premise that they end up being fun just for the hilarity. Take, for instance, a this new game from We The Force Studios called Kim The Avenger Cow. If the video is any indication, this game should be a riot. The premise has Kim as a superhero for the bovines, who want freedom from mankind. She gets her powers through a freak accident and then goes on a rampage against hillbillies, government agents, and evil sheep, using her grade A milk gun as a weapon. If you don't believe me, check out the trailer below. The platformer, which will be available for PS4 and PC through Steam, also has a bunch of puzzles that players will need to navigate while battling the enemies. The game looks udderly crazy, but I don't want to steer you wrong. That may sound like a lot of bull, as the game could be a cowtastraphe. But at last I get to milk these cow puns for all their worth. Glad to get that out of my system. Mooove along now. How did you not work Bovine into the mix? Oh hell yes! this looks awesome!! The brief glimpses of gameplay reminded me of Earthworm Jim. Def adding this to my wishlist.